Alexa, Amazon's virtual assistant, was first introduced as a feature of the Echo Speaker in 2014, but has since been made available in a host of Amazon devices, while other manufacturers have also introduced their own Alexa-compatible devices. This powerful tool is capable of voice interaction, playing music, answering questions, setting alarms, streaming podcasts, playing audiobooks, and providing weather, traffic, sports, and news. 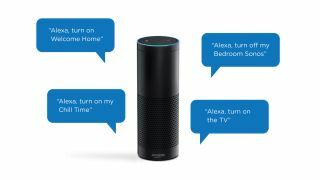 Additionally, many devices can now be controlled using voice commands via Alexa. But where once such futuristic technology may have been financially unfeasible for most people, Alexa devices are extremely affordable. To help you get the lowest prices on the most popular Alexa-equipped devices, we've rounded up the best Alexa deals from across the internet. So whether you want a tablet, a smart speaker, or a streaming device, be sure to check back frequently next week as we'll be updating this page as those deals go live. Looking for the Amazon Fire TV experience without another black box on your shelf? Check out the Amazon Fire TV Stick. It offers all of the same content that you'd find on the full-size box, but in a mini, USB stick-esque form factor. You'll love how quick and snappy the Fire TV Stick's interface is, and that it’s intuitively laid out, making most content quick and easy to find. Once you get to your content it streams without any complaints or buffering while playback is smooth and good-looking. The voice search functionality is quick and accurate when searching for Amazon or Netflix content, and it’s also a speedy way of hopping between apps. Most major streaming services are also supported. The Amazon Echo Dot is the smallest of the Echo speakers. It manages to save this space by including a much smaller speaker, which consequently offers a much weaker sound. The good news is that if you want to do some serious music listening then you’re able to plug the Echo Dot into an external speaker using its 3.5mm jack. It’s also a great deal cheaper than the original Echo, meaning that it’s a great way of cheaply getting Alexa into your home, or perhaps adding a second speaker to your setup. The 2017 Amazon Fire TV was a radical redesign of the Fire TV range, both inside and out. It's been turned into a dongle but also given a hug power boost. Its 4K credentials have also improved with the addition of HDR and it's always great to see Dolby Atmos getting some love. The new dongle is worth the upgrade for brand-new Amazon Fire TV buyers because it combines the best of the old hardware – it's just as powerful as the full-size box, but it's smaller in order to sneak behind your entertainment center without drawing attention. The Amazon Echo is the standard version of the speaker, and this is the second generation of the device. This new version is a little shorter than the original, and it has an upgraded speaker powered by some neat Dolby processing. This is the 'just right' option in the Echo lineup. It's not as budget as the Amazon Echo Dot nor is it as premium as the Amazon Echo Plus. If you’re looking for a smart speaker that can play music well enough, control your smart home, and doesn’t cost a small fortune, the Amazon Echo is our favorite. The Amazon Fire HD 10 is the best big tablet from Amazon that costs more than one third the price of an iPad while on sale. It streams video and other multimedia content just fine, even if it doesn't have the slick Apple's interface. You will not find a better bargain than this if you have your heart set on a big screen tablet. The Amazon Echo Show is one of only two Echo devices that come equipped with a screen. After releasing first in the US, the speaker has more recently made its way to the UK. Like its siblings, the Dot, the Plus and the Echo, the Show can play music, control your smart home and make calls to other Echo devices. However, what makes it different is that its display allows you to get visual information as well as audio. That means you'll be able to see the name of songs while they're playing, read recipes right off the screen, or see more in-depth five-day weather forecasts without asking Alexa to repeat herself time and time again. The Amazon Echo Spot is the best-looking Echo product out there: a versatile, Alexa-toting video device that wants to be in your bedroom, your kitchen, or your office. It's got a much smaller screen that's designed to show you little pieces of information rather than let you catch up on the latest series of The Grand Tour. But that might be more than enough if you just want to quickly check directions or read a news bulletin. See more of the best cheap smart home devices and gadget deals that are currently available.